As everyone knows, the primary burden on the world economy at the moment is the mountains of sovereign debt we have accumulated over the past decade or so. All major developed economies – the USA, the EU, Japan and the UK – are swamped by debt at a time when their rapidly ageing populations are putting more and more strain on their totally unsustainable welfare states. In addition, the debilitating culture of consumerism and entitlement that now has complete control over the vast majority of developed world citizens is also hurting competitiveness. According to the Global Competitiveness Report which offers a very thorough assessment of the economic health of a country, the USA has fallen dramatically from 1st to 7th over the past four years. As for the EU, more industrious northern states have consolidated their highly competitive positions, but most southern states have also shown sharp declines in competitiveness. In short, this dangerous combination of mounting welfare expenses and rapid losses in competitiveness will only add to already completely unsustainable debt burdens, thereby accelerating the self-destruction of the developed world. In addition, the developing world, China and India in particular, are already showing signs of a very hard landing after years of rapid growth driven by the consumerism of the developed world. Millions of jobs were created in these countries as the developed world exported its industry in order to exploit the cheap labor costs and poorly developed labor laws of the developing world. In order to keep this going, developing countries kept on lending huge sums of money to developed countries so that these rich countries could keep on consuming their produce while steadily deindustrializing themselves. The total insanity of this completely unsustainable situation was discussed in a previous post and it should really come as no surprise that droves of Chinese millionaires are now ditching their homeland. Now that the world is finally starting to wake up to the fact that rich developed nations will never ever be able to pay back their debt without rapidly devaluing their currencies by printing vast amounts of money, the developed world is gradually being forced to curb its rampant consumption. This, in turn, is impacting directly on developing countries that depend on massive exports to developed nations. And yes, just like all the bubbles created by our terribly misguided understanding of modern economics (e.g. 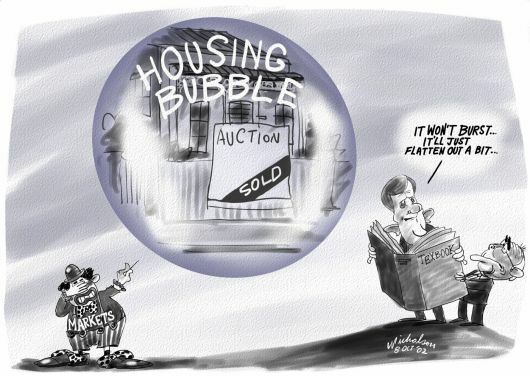 the tech-bubble, the US housing bubble, all the other housing bubbles still building and popping around the world, the student loan bubble, the social media bubble, the sovereign debt bubble and the welfare bubble) this ultimate bubble – the globalization bubble – will also eventually burst with earth shuddering force. Indeed, the only thing that modern economics has managed to do with any degree of regularity is to blow progressively bigger and more destructive economic bubbles, thereby greatly destabilising and unbalancing the global economy. 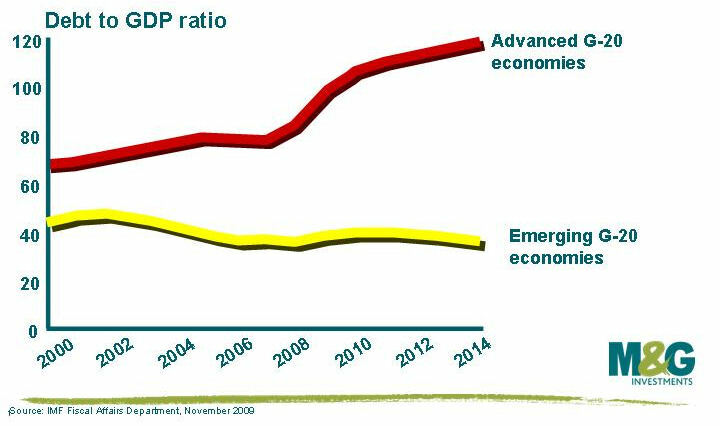 The result is that we are currently at a stage where the great uncertainty stemming from the humongous debt burdens of developed nations is deterring investors to such a degree that a traditional economic recovery is simply impossible. And, even more importantly, the massive imbalances in productive output between developed and developing nations, combined with ever increasing social inequality and enormous personal debt levels, have created a situation where the societal impact of any great economic misfortune will be greatly exacerbated. This is the situation we are facing today and I’m afraid that things are not very likely to change while our policymakers are still so diligently adhering to Einstein’s old definition of insanity: doing the same thing over and over again each time expecting a different result. Things will therefore have to get a whole lot worse before they get better (i.e. the uninformed public will have to experience so much pain that they are forced to get informed and use their democratic power to bring about the required change). Unfortunately, however, the general public is still woefully naive about these, the most important issues of our time, and the total insanity of modern economics will therefore continue driving down median living standards for years to come. But what exactly is wrong with modern economics? Well, this is a very important question and deserves to be answered after this relentless torrent of criticism. Luckily, this is quite simple really and will be further outlined on the next page.